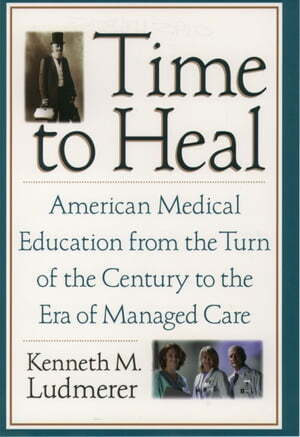 Collins Booksellers - Time to Heal by Kenneth M. Ludmerer, M.D., 9780190283636. Buy this book online. by Kenneth M. Ludmerer, M.D. Already the recipient of extraordinary critical acclaim, this magisterial book provides a landmark account of American medical education in the twentieth century, concluding with a call for the reformation of a system currently handicapped by managed care and by narrow, self-centered professional interests. Kenneth M. Ludmerer describes the evolution of American medical education from 1910, when a muck-raking report on medical diploma mills spurred the reform and expansion of medical schools, to the current era of managed care, when commercial interests once more have come to the fore, compromising the training of the nation's future doctors. Ludmerer portrays the experience of learning medicine from the perspective of students, house officers, faculty, administrators, and patients, and he traces the immense impact on academic medical centers of outside factors such as World War II, the National Institutes of Health, private medical insurance, and Medicare and Medicaid. Most notably, the book explores the very real threats to medical education in the current environment of managed care, viewing these developments not as a catastrophe but as a challenge to make many long overdue changes in medical education and medical practice. Panoramic in scope, meticulously researched, brilliantly argued, and engagingly written, Time to Heal is both a stunning work of scholarship and a courageous critique of modern medical education. The definitive book on the subject, it provides an indispensable framework for making informed choices about the future of medical education and health care in America.